A stack of Calissons (or Amandins), as seen in a bakery in Arles. 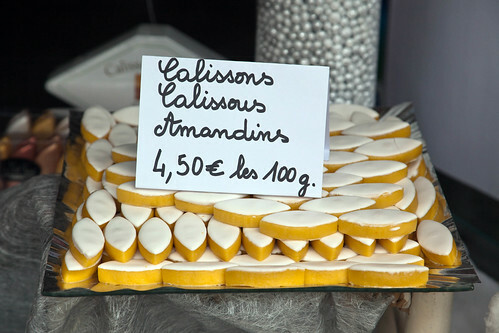 Calissons are a traditional candy consisting of a smooth, pale yellow, homogeneous paste of candied fruit (especially melons and oranges) and ground almonds topped with a thin layer of white icing. Find more about it on the blog.